Borobi is coming out of Retirement! 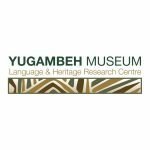 The Museum aims to collect and maintain items and intellectual property that showcase the language, history and culture of the traditional Aboriginal people of the Yugambeh region, whilst enabling the continuing story of our modern Yugambeh community to be told. Reporting to the Sales, Marketing, and Communications Manager, the role of the Brand Manager – Borobi is pivotal to the development and growth of the Borobi brand. Working across commercial, partnerships, sponsorships, public relations and digital marketing to promote and advertise Borobi and the Yugambeh Museum to a local, national and international audience. This is a newly created role for a fixed period of six months. Please identify your experience with the above listed tasks within your application. How many years’ experience do you have in a marketing role?